I don't know about you...but I'm kinda glad that tomorrow is the last day of the election cycle! Seems like it's been going on FOREVER! Did you drop off the face of the planet? You have an outstanding balance? Slowly drifted away into the abyss? Did you try another gym and ready to come 'home'? This week only (until Nov 12, 2016), we have pardoned all former gym members to get you back into the gym! We know you have a big voting decision this week, so to make this super-easy, we want to waive ALL enrollment fees for returning members...just pay your first month of membership dues and we'll restart your membership! As Donald Trump would explain, this "is going to be huge... HUGE!" or "BIG LEAGUE"....or "BIGLY" depending on who you believe! Here goes... We are forgiving any past debts and past due balances! We want to restart our relationship and start over with you. If you owe us money, or maybe even in collections, we will wipe away 100% of your balance after you rejoin! Oh, YES! Now, you have no excuse to rejoin the Titan Fitness family and get a head start on fighting off that unflattering "Winter Coat". Before we endlessly change our minds and flip-flop our opinions on the topic like any great career politician can, you are encouraged to take advantage of this offer... NOW! Yep. The clock is ticking! You've only got until this Saturday, November 12th at 1pm to take advantage and get amnesty. To claim your amnesty, just click the "Get Started Now" Button below. A window will open then just enter your first name, your best email address and your best contact phone number. Once we receive your request, we'll give you a call to get your amnesty status locked in before the timer expires on this page. 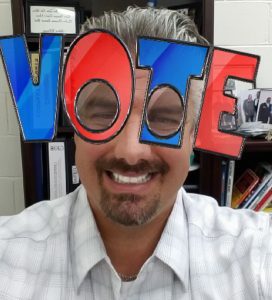 Make sure to exercise your right to vote and get to the polls...unless of course you're not voting the same way I am...then just stay home and avoid the lines!!! Just kidding...voting is something that many men and women gave their lives for...so VOTE!